Draft: 2012, New York Yankees, 2nd rd. Peter Robert O'Brien…born in Hialeah, Fla...is fluent in Spanish... his mother is Cuban...is a 2008 graduate of G. Holmes Braddock High School in Miami...first team All-Atlantic Coast Conference selection in 2012 for the University of Miami...prior to senior season with Hurricanes, named a Louisville Slugger preseason All-American and named to Preseason Johnny Bench Award Watch List... began collegiate career at Bethune-Cookman University…named Freshman All-American by Baseball America and Louisville Slugger (2009) in addition to Mid-Eastern Conference Player of the Year honors (2010). Began season with Double-A Tulsa in Dodgers' organization before being acquired by Marlins on June 1 for cash considerations... Combined for 30 homers in Minors, driving in 86 runs and slugging .506...Homered in three-straight games for Drillers from May 12-14, driving in 11 runs...Assigned to Double-A Jacksonville upon acquisition from Dodgers and made debut on June 3...Hit seven home runs during his record-tying streak, with a twohomer outing in final game, on June 11 vs. Biloxi; also had 13 RBI during the streak...Promoted to Triple-A New Orleans on July 24...Hit .277 (31x112) with 22 runs scored, six doubles, 10 homers, and 33 RBI in 36 games for Baby Cakes...Homered four times in three-game stretch from August 12-14 (two on Aug. 13 at Memphis)...Home-run streak came in midst of season-long 10-game hitting streak from Aug. 12-22, during which he hit .412 (14x34) with four doubles, seven homers, and 15 RBI...Batted .311 (28x90) with 18 runs scored, six doubles, 10 homers, 30 RBI, and a .711 slugging percentage in August (29 games)...Led Triple-A level in RBI for August, tied for third in home runs, and ranked sixth in slugging...Contract selected by Miami following end of Pacific Coast League season on Sept. 4...Had career-best five-game hitting streak from Sept. 14-20, batting .538 (7x13) with two doubles, two homers, and five RBI. Hit .400 (4-for-10) with one double, one home run and three RBI in eight games in his first Major League season with Arizona...appeared in three games in left field (one start)...Selected from Triple-A Reno on Sept. 8 vs. Giants...Recorded a RBI single in his first Major League at-bat on Sept. 11 vs. Dodgers (off Ian Thomas)...Hit his first home run as a pinch-hitter on Oct. 2 vs. Astros (off Dallas Keuchel)...the homer was estimated at 471 feet [source: MLB Statcast]...Played in 131 games for Reno and hit .284 (139-for-490) with 35 doubles, nine triples, 26 home runs, 107 RBI and 77 runs scored...Ranked among all Minor Leaguers in RBI (second) and total bases (fourth, 270)...Played in 57 games in left field for the Aces, 47 in right, 12 as the designated hitter, 11 at catcher and four at first base...Named to the Pacific Coast League mid- and postseason All-Star Teams and earned PCL All-Star Game Top Star honors...Named the D-backs' organizational Player of the Month for April, after hitting .383 (31-for-81) with seven doubles, seven homers and 20 RBI in 21 games for the Aces...Entered 2015 as Arizona's No. 8 Prospect by Baseball America and No. 9 by MLB.com. Combined to hit .271 (108-for-399) with 23 doubles, 34 home runs and 74 RBI in 106 games between Class A Tampa, Double-A Trenton and Double-A Mobile...Ranked among all Minor Leaguers in home runs (5th) and slugging percentage (7th, .594), despite playing his final game on Aug. 6 due to a left knee contusion...Selected to the MLB All-Star Futures Game at Target Field. Combined at Single-A Charleston and Single-A Tampa to hit .291 (130-for-447) with 39 doubles, 4 triples, 22HR, 96RBI and 78R in 119 games…recorded a .544 slugging percentage…played his first 53G with Charleston, where he hit .325 (63-for-194) and slugged .619…made all 53 appearances as a catcher…had 5RBI on 4/27 vs. Kannapolis…was tabbed SAL "Batter of the Week" on 5/20, hitting .409 (9-for-22) with 3 doubles, 2HR, 12R, 8RBI and 7BB from 5/13-19…batted .395 (15-for-38) during a 10-game hitting streak from 5/10-21…homered in three straight appearances from 6/4-7…earned SAL midseason All-Star honors…was transferred to Tampa on 6/21 and played in 66G, batting .265 (67-for-253) with a .486 slugging percentage…played primarily 3B and DH, but also caught in 12G…recorded 5RBI on 7/6 at Brevard County and again on 7/13 vs. Bradenton…on 8/5 vs. Fort Myers, hit a 2-run, walk-off HR in the bottom of the ninth inning…had a season-high 6RBI on 8/30 at Lakeland, going 3-for-3 with 2 doubles and 1HR…led all Yankees minor league batters in home runs and RBI, also ranking third in runs scored and fifth in BA…was tabbed by MiLB.com an Organization All-Star at the conclusion of the season…also played in 16G for Scottsdale of the Arizona Fall League and batted .190 (12-for-63) with 4HR…hit 2HR on 10/17 at Surprise. Made his professional debut with the GCL Yankees, appearing in 4G (.357) before being promoted to short-season Single-A Staten Island on 7/7 and appearing in 48G for the club… combined to hit .212 (45-for-212) with 10 doubles, 10HR and 34RBI in 52G. April 12, 2019 Miami Marlins optioned OF Peter O'Brien to New Orleans Baby Cakes. March 31, 2019 Miami Marlins recalled OF Peter O'Brien from New Orleans Baby Cakes. March 23, 2019 Miami Marlins optioned OF Peter O'Brien to New Orleans Baby Cakes. December 20, 2018 Toros del Este placed 1B Peter O'Brien on the reserve list. November 26, 2018 1B Peter O'Brien assigned to Toros del Este. September 4, 2018 Miami Marlins selected the contract of LF Peter O'Brien from New Orleans Baby Cakes. 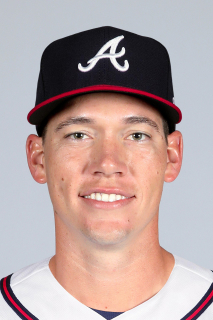 September 4, 2018 Peter O'Brien roster status changed by Miami Marlins. July 24, 2018 RF Peter O'Brien assigned to New Orleans Baby Cakes from Jacksonville Jumbo Shrimp. June 1, 2018 Los Angeles Dodgers traded 1B Peter O'Brien to Miami Marlins for cash. June 1, 2018 1B Peter O'Brien assigned to Jacksonville Jumbo Shrimp. December 7, 2017 1B Peter O'Brien assigned to Yaquis de Obregon. August 4, 2017 1B Peter O'Brien assigned to Tulsa Drillers from Oklahoma City Dodgers. August 3, 2017 Los Angeles Dodgers sent LF Peter O'Brien outright to Oklahoma City Dodgers. July 31, 2017 Los Angeles Dodgers designated Peter O'Brien for assignment. July 7, 2017 1B Peter O'Brien assigned to Tulsa Drillers from Oklahoma City Dodgers. June 20, 2017 Los Angeles Dodgers optioned LF Peter O'Brien to Oklahoma City Dodgers. June 18, 2017 Los Angeles Dodgers claimed LF Peter O'Brien off waivers from Texas Rangers. June 17, 2017 Texas Rangers designated LF Peter O'Brien for assignment. June 1, 2017 LF Peter O'Brien assigned to Round Rock Express from Frisco RoughRiders. May 28, 2017 LF Peter O'Brien assigned to Frisco RoughRiders from Round Rock Express. May 27, 2017 Texas Rangers claimed LF Peter O'Brien off waivers from Cincinnati Reds. May 27, 2017 Texas Rangers optioned LF Peter O'Brien to Round Rock Express. May 25, 2017 Cincinnati Reds designated LF Peter O'Brien for assignment. May 16, 2017 Cincinnati Reds claimed LF Peter O'Brien off waivers from Kansas City Royals. May 16, 2017 Cincinnati Reds optioned LF Peter O'Brien to Louisville Bats. May 10, 2017 Kansas City Royals designated LF Peter O'Brien for assignment. March 27, 2017 Kansas City Royals optioned LF Peter O'Brien to Omaha Storm Chasers. January 3, 2017 Arizona Diamondbacks traded LF Peter O'Brien to Kansas City Royals for RHP Sam Lewis. December 23, 2016 Arizona Diamondbacks designated LF Peter O'Brien for assignment. September 6, 2016 Arizona Diamondbacks recalled LF Peter O'Brien from Reno Aces. July 22, 2016 Reno Aces activated LF Peter O'Brien. July 20, 2016 LF Peter O'Brien roster status changed by Reno Aces. July 4, 2016 Arizona Diamondbacks optioned LF Peter O'Brien to Reno Aces. June 10, 2016 Arizona Diamondbacks recalled Peter O'Brien from Reno Aces. May 30, 2016 Arizona Diamondbacks optioned LF Peter O'Brien to Reno Aces. May 27, 2016 Arizona Diamondbacks recalled Peter O'Brien from Reno Aces. April 2, 2016 Arizona Diamondbacks optioned LF Peter O'Brien to Reno Aces. November 28, 2015 OF Peter O'Brien assigned to Naranjeros de Hermosillo. September 8, 2015 Arizona Diamondbacks selected the contract of LF Peter O'Brien from Reno Aces. April 8, 2015 LF Peter O'Brien assigned to Reno Aces from Mobile BayBears. February 13, 2015 Arizona Diamondbacks invited non-roster C Peter O'Brien to spring training. September 20, 2014 Mobile BayBears activated C Peter O'Brien from the 7-day disabled list. August 9, 2014 Mobile BayBears placed C Peter O'Brien on the 7-day disabled list retroactive to August 7, 2014. July 31, 2014 C Peter O'Brien assigned to Mobile BayBears. July 17, 2014 Trenton Thunder activated 1B Peter O'Brien from the temporarily inactive list. July 12, 2014 Peter O'Brien roster status changed by Trenton Thunder. July 12, 2014 Trenton Thunder placed C Peter O'Brien on the temporarily inactive list. May 9, 2014 C Peter O'Brien assigned to Trenton Thunder from Tampa Yankees. January 29, 2014 New York Yankees invited non-roster C Peter O'Brien to spring training. June 21, 2013 C Peter O'Brien assigned to Tampa Yankees from Charleston RiverDogs. June 21, 2013 Peter O'Brien assigned to Tampa Yankees from Charleston RiverDogs. March 30, 2013 Peter O'Brien assigned to Charleston RiverDogs from Staten Island Yankees. July 7, 2012 Peter O'Brien assigned to Staten Island Yankees from GCL Yankees. July 3, 2012 Peter O'Brien assigned to GCL Yankees. July 2, 2012 New York Yankees signed C Peter O'Brien.